Shuai Jiao (摔跤, shuāi jiāo) is referred to as a common form of Chinese wrestling. Shuai Jiao is a style of chinese martial arts and thus belongs to Kung-Fu. Athletes wear jackets made of heavy woven, particularly tear-proof material. 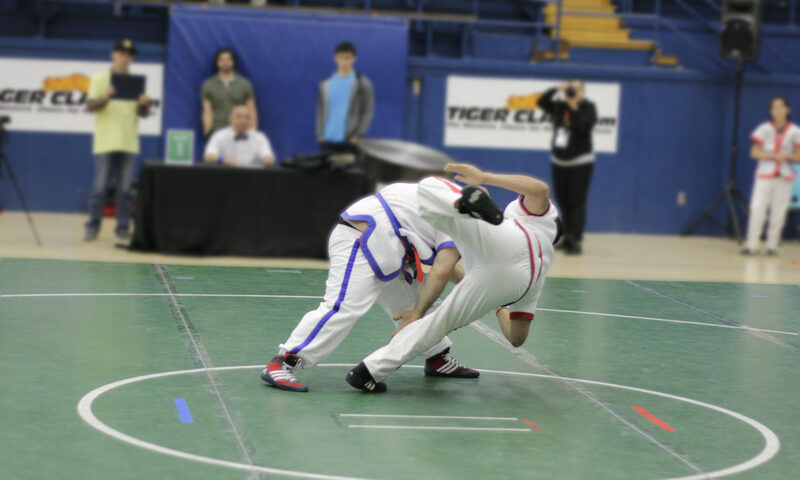 Similar to Judo, the goal in a competition is to bring the opponent to the ground. In contrast to Judo, sacrifice techniques were the attacker accompanies the opponent to the ground are avoided in Shuai Jiao competitions. 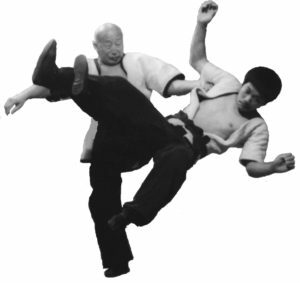 This is characteristic and common for all styles of Kung-Fu and in particular influenced modern self-defence systems, such as Krav Maga, which clearly focusses on fast and agressive stand-up fighting. The ancestor of Shuai Jiao is Jiao Li (角力, jiǎo lì), the combat system of the Imperial Chinese Army. Among several throwing techniques (摔, shuāi), Jiao Li also involves punches (打, dǎ), kicks (踢, tī) and arm or leg lever techniques (拿, ná). Over the centuries, the ancient Jiao Li evolved to the competitive Shuai Jiao as it is known today. However, to reduce the most severe injuries in Shuai Jiao competitions, punches and kicks were removed from the system, resulting in competitive styles such as Beijing Shuai Jiao. The only Shuai Jiao style retaining its full spectrum of the military combat system (kicks, punches, throws, arm and leg lever techniques, and combinations thereof) is the style of Baoding Shuai Jiao (保定, bǎo dìng, named after a city in Hebei province, China).